3D scanning is an increasingly popular technology and is mostly used for reverse engineering and quality assurance. Reverse engineering is commonly known as backward engineering because it's the process through which information is extracted from pre-existing objects to reproduce them based on the information gathered. 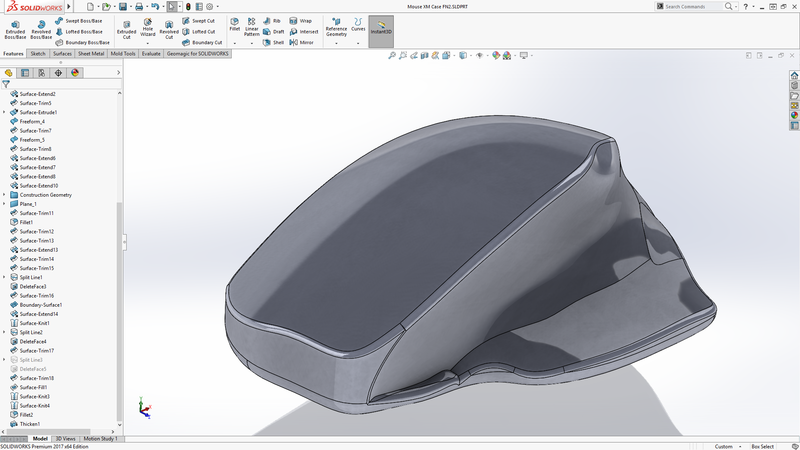 As an example of reverse engineering, I am going to show you how to use Geomagic for SOLIDWORKS, which is an add-on for SOLIDWORKS 3D CAD, to create a mouse cover. 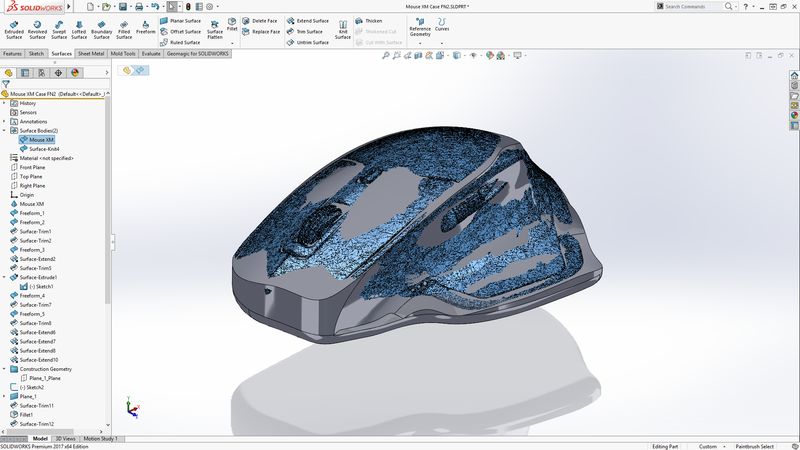 Geomagic for SOLIDWORKS allows you to import the digital copy into SOLIDWORKS CAD. 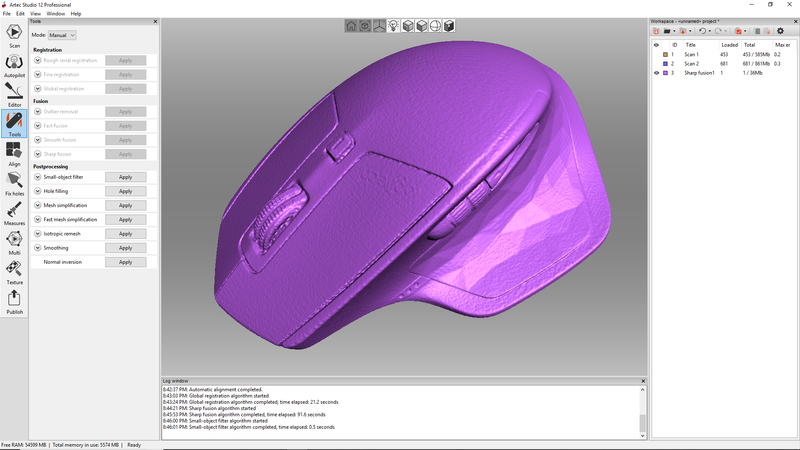 Its special tools allow the user to wrap surfaces over the geometry of the digital copy of the mouse. You will be able to design a custom case that will exactly fit the shape of the mouse. PART 1: Get a complete scan of the mouse we are planning to create the custom case for. To scan, I used the Artec Space Spider. This allows me to get a great and high accuracy scan of the geometry, allowing me to make a perfect form-fitting case. 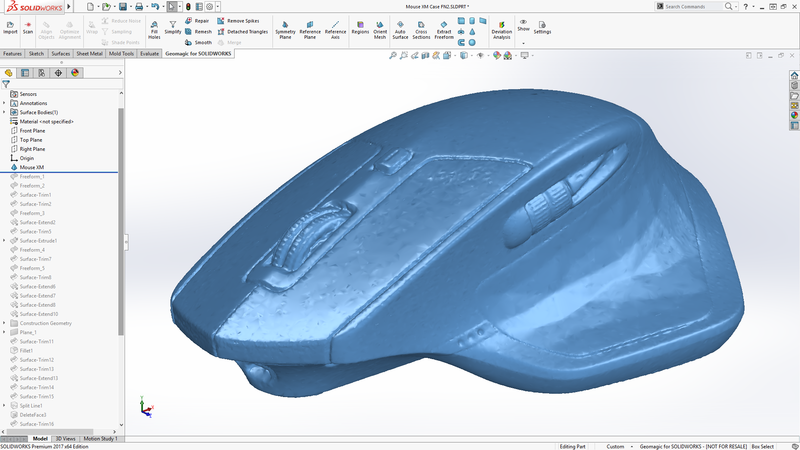 PART 2: Once I scanned the geometry and went through using Artec Studio, I combined the multiple 3D scans I made to make a watertight mesh of the mouse geometry. Then I could export it to create an STL file. 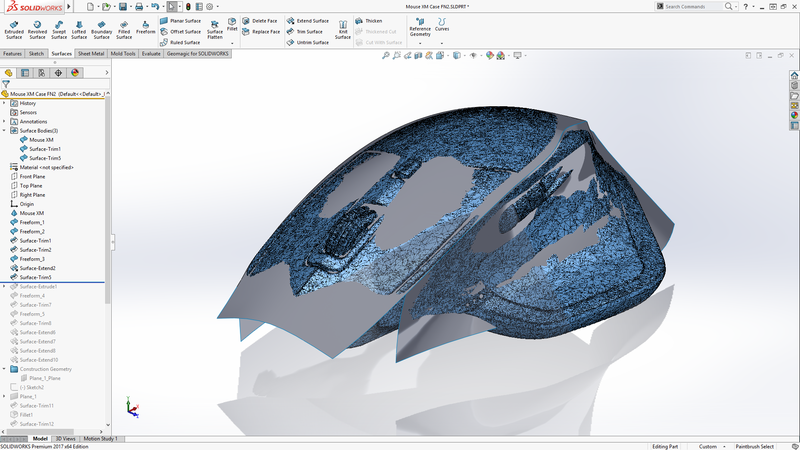 PART 3: With the STL file, I started the reverse engineering process by bringing this data into a SOLIDWORKS CAD system. Helping us to make the reverse engineering process faster we are going to be using the add-in Geomagic for SOLIDWORKS. Import the STL file using Geomagic for SOLIDWORKS, and align the data on the X, Y, Z axis. PART 4: Using the imported STL file as a reference geometry. We can apply surfaces to the different areas of the mouse allowing us to easily replicate its ergonomic shape. So the custom design case will snugly fit. PART 5: After applying all the surfaces to the geometry of the mouse data, make a final surface profile to connect all the surfaces together. We then go through and trim back all the extra surface material that extends beyond the final profile to create the exterior case. PART 6: Knit all the surfaces together to make the custom mouse case. And just like that, you are ready to print! 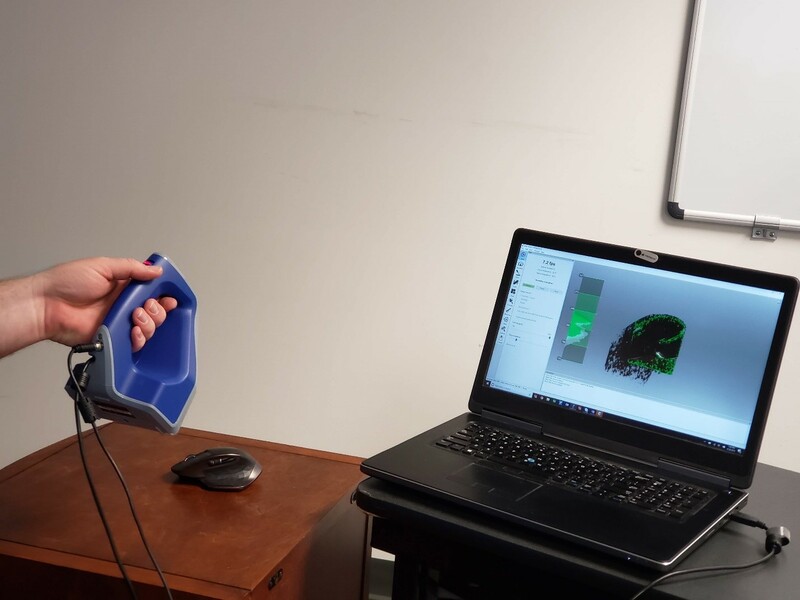 Interested in learning more about 3D scanning and the possibilities it can create? We have both Artec scanner and Geomagic for SOLIDWORKS training classes available.